School bullying is a major problem throughout the country and occurs across all school age groups. Providing a safe learning environment, free from the stresses and dangers of bullying, is a must to facilitate academic success and help children grow. School security cameras can not only help stop bullying as it’s happening, they can also serve as preventative measures to stop bullying before it happens. Take time during National Bullying Prevention Month to learn more about how security cameras can be a powerful ally in preventing school bullying. 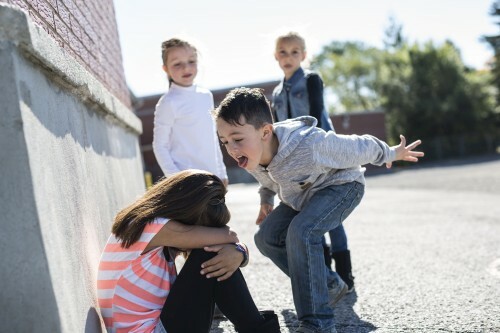 While any child can be the victim of bullying or become the bully, parents and educators should be aware of the warning signs that a child is being bullied, including: unexplained injuries, destroyed clothing or other items, faking illnesses to avoid going to school, declining grades, and decreased self-esteem, among others. Being the victim of bullying or being the perpetrator can lead to other even more harmful behaviors. With 19 percent of students in grades 9 through 12 and 21 percent of students aged 12-18 reporting that they have experienced bullying in the last 12 months, schools, parents, and the community have begun to rethink traditional approaches to preventing bullying and other school violence. School administrators and teachers must respond quickly and consistently to bullying behavior to convey to students that this behavior is unacceptable. Research has shown that immediate response to and decisive correction can stop bullying behavior over time. Unfortunately, school safety personnel, administrators, and teachers cannot be present in every area of the school at all times. Bullies don’t attack victims when they know others, especially adults, might intervene. School bullying happens most often at lunch, recess, and between classes. During these times when students are moving or sitting in large groups, it can be difficult for adults to effectively monitor the interactions of every child. It is at these times, when students are most vulnerable to bullying. At least 1 in 4 students in the U.S. have been bullied while at school, with the vast majority happening when a child is in middle school. Kids who are bullied often develop negative physical, school, social, and mental health issues. Victims of bullying are more likely to exhibit signs of depression and anxiety, experience health complaints, and suffer from decreased academic achievement, including being more likely to drop out of school altogether. When actively monitored by school resources officers or safety personnel, cameras can be a valuable aid to bullying prevention. Monitoring of camera feeds during class changes, lunch periods, and at recess enable the resource officer to detect incidents of bullying that occur out of sight of teachers, as well as other activities that pose a risk to student safety like weapons or drug possession. The resource officer can then immediately intervene in the situation and provide the video to school administrators and teachers, allowing them to take swift action to remove the child being bullied from harm and respond to the bullying behavior of the other child. While school security cameras can be a valuable tool in your bullying prevention toolbox, involving parents and the larger community in the decision to enact these measures to ensure student safety can also help to assuage any reluctance that parents may have about video monitoring. 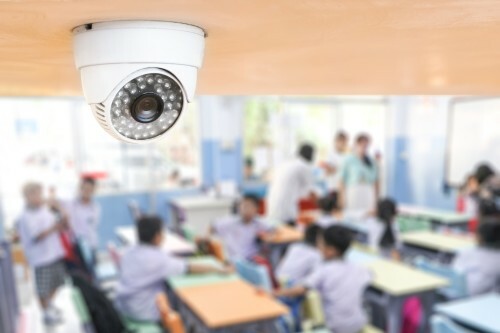 Testimonials from school administrators in districts that use security cameras and students that have been helped through their use can be a powerful way to demonstrate the effectiveness of video monitoring. CameraSecurityNow.com many types of cameras to meet your school security needs. Our expert technicians will install all of your equipment and can answer any questions you may have. Get a quote for all of your school security camera needs.